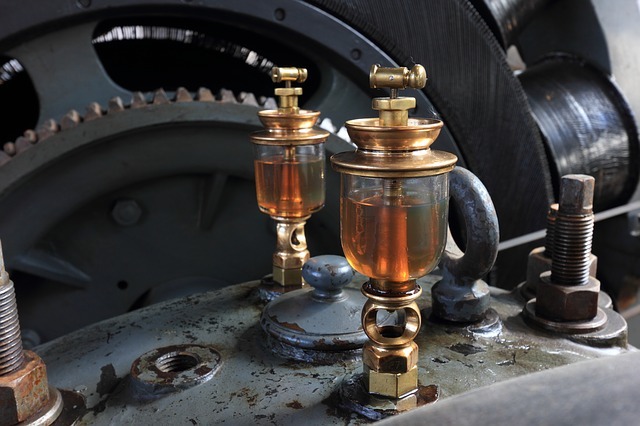 Three Reasons Why Proper Lubrication Is Important - Hi-Tech Compressor & Pump Products, Inc. Proper lubrication is key to the longevity of the rotating equipment. Without proper lubrication, repairs and downtime (a.k.a. money) are often required to keep your unit up and running again. Lubrication provides a low friction film for the rings, the space between the rings and cups, as well as the rings and the rod. With this helpful film, heat, leakage, and even corrosion can be combated. The major seals in a compressor, such as these piston rings and rod packing, require adequate attention and care. But sometimes oversights can happen, resulting in an irreversible outcome due to improper lubrication. Over 70% of lubrication professionals say that over lubrication is a problem at their plant. 1. Too much lubrication can cause rod packing and valve failure. Why would this happen? With too much lubrication, the packing will lift off the rod resulting in blow-by and an undistributed amount of pressure across the packing rings. Conversely when there is a lack of lubrication, or worse, intermittent lube the temperature will rise due to friction and the surfaces can take on either a blueish or brownish hue. The temperature can even become hot enough to cause bearings to seize. *Side note: Did you know that grease guns can produce up to 15,000 psi? This mass amount of pressure is created when you over grease a bearing housing causing the lip seals to rupture and allows pollutants such as water and dirt to gain access to the bearing housing. 2. An abundance of lubrication in the cylinder can cause the valve sealing components to stick to the seat and guard, resulting in increased opening and closing speeds, which will consequentially cause broken valve components. As the oil begins to oxidize, it will form what is commonly referred to as stiction. The word stiction is basically both static and friction. Stiction is the force that resists the motion between two bodies in contact. Stiction has a negative effect and has been known to cause damage to the valves and subsequently the cylinders. 3. Lubrication film, factors into the efficient operation of a piston and the packing seals too. Irregular lubrication to these parts will result in a loose film and consequently build up onto the piston rod surface when instances of dry operation occur. Similarly, with mechanical packing, over lubrication can cause an increased amount of oxidation surrounding the parts. These formations can be abrasive, and in some cases, it can even cause wear of the packing rings. In order to avoid the damages that can occur with improper lubrication, Hi-Tech Compressor recommends setting up a maintenance program that would include taking precautions with calculating the appropriate amount and frequencies of lubrication required for each machine/engine. Also, using feedback instruments to assist in accurate measurements is suggested. With these proactive steps, avoiding improper lubrication is possible. However, these actions will help eliminate the issues seen with improper lubrication only when they are carried out thoroughly and on a regular basis. What kind of lubrication errors have you come across? Tell us in the comments below!